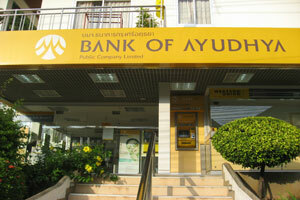 Branches of the Bank of Ayudhya, Siam City Bank and the Thai Military Bank are located in Haad Sai Khao (White Sand Beach). The Siam Commercial Bank is located in Chai Chet A sub branch of Siam City Bank is located in Kai Bae. Normal Banking hours in Koh Chang are the same as in the rest of Thailand. Monday to Friday 8.30am to 3.30pm. The only ATM on the east side of the island is located at the Police Station in Dan Mai. There are no ATM machines located on any of the other islands in the Koh Chang National Park. Visitors who are visiting Koh Wai, Koh Mak or Koh Kood should ensure they have enough money to enjoy their stay before leaving for the islands to the south. Visitors who carry large amounts of money are advised to make use of their hotel or resorts safe. A full receipt for all items deposited should be requested.